Today, Parliament will, hopefully, debate the pros and cons of the 123 Agreement. What questions will it ask? So far, the debate has focused on how the agreement binds us. While this is critical, we must also look at the opportunities that open up by rejoining the nuclear mainstream. Imagine your reaction, 20 years ago, if someone had said that we would become a major software exporter or that an Indian would be the world’s largest steel maker. Now that we know better, can we visualize India as a premier supplier of nuclear technology and equipment in 2030? It can happen. Till now, nuclear energy has focused on uranium, largely because of its associated military uses. As the need to build bombs abates and nuclear energy needs to spread to more countries to combat the rising use of fossil fuels, the focus is shifting to the other nuclear fuel that has a high energy potential, negligible use in bomb making, and less nuclear waste, viz., thorium. Thanks to visionaries such as Homi Bhabha, India already has a strong public thorium research programme, though it has been hamstrung by the isolation of our scientists from the mainstream of nuclear research. The 123 Agreement starts to make it possible for us to collaborate internationally and fill in the missing pieces. With adequate support, it is conceivable that we can develop commercially viable designs for thorium-fuelled nuclear energy plants in the near future. In addition to an advanced research programme, India also has a vibrant private sector, populated by companies that have global ambition and the capacity to realize that goal. Groups such as Tata, Birla, Reliance, Vedanta and L&T are quite capable of being the next GE, Westinghouse or Areva. In the future, they, or other firms yet to emerge from the deep pool of Indian entrepreneurship, can build thorium-powered nuclear plants not just in India but in countries around the world; even in the US, just as Indian software powers the financial engines of Wall Street. Indeed, if steel is any guide, Indian firms may well end up being major players in all forms of nuclear energy, whether powered by uranium or thorium. To make this happen, the government must commit to scaling up thorium research to benefit from the increased international access, and to fully fund and test multiple approaches and designs for thorium power that currently remain on paper. Will it do so or will it be content with just importing technology? Apart from funds, research is also constrained by bureaucracy. There will always be failures in the attempt to break new ground but government audit processes frown on failure. To reduce the incidence of failure, researchers tend to stick to the edges of existing knowledge and avoid new frontiers. Such issues need to be tackled if we are to make major breakthroughs. 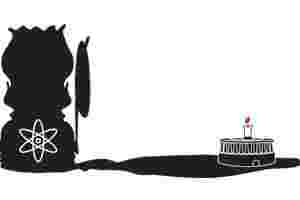 The government’s plans for thorium need to be a major item of the parliamentary debate. Will it be? As we reach for the future, we should also be vigilant in ensuring that the 123 Agreement does not constrain us. A key concern is interruptions in fuel supply. One response is to stockpile fuel. A 1,000MW plant needs about 20 tonnes of low-enriched uranium or about 180 tonnes of natural uranium annually i.e., 5,000 tonnes over 30 years, which, being dense, occupies only the space of a medium-sized apartment. However, procurement can prove difficult, since 5,000 tonnes is about 10% of current world uranium mining output. Stockpiling thus requires a measured approach, including acquisition and development of mines overseas. Stockpiling also appears expensive. Spot prices of uranium have risen 10 times in the last five years, but if the world does indeed shift to nuclear power, it can rise further. This appreciation in value of a stockpile means that we may be able to insure ourselves for free, not to mention the cheer it will spread in the corridors of the Reserve Bank of India, by using up some of our burdensome foreign exchange reserves. But will such strategies be part of today’s parliamentary debate? In addition, we also need to develop our own uranium resources. While limited, access to these resources is further restricted by our lopsided mining laws that give little to the state where the resources are located and even less to the people who are affected by mining. This is true for all manner of extraction, whether it be bauxite, iron ore, coal, oil, uranium, or thorium. Such an unfair bargain cannot persist in a democratic society. Our resources need to be marshalled in a manner that recognizes the contribution made by the people of the resource-rich area to the overall development of the nation and gives them a fair share of the benefits. So, will Parliament discuss the required amendment of mining laws? In the end, it is our actions that will determine whether the 123 Agreement benefits us. We expect Parliament to ensure that government avoids the pitfalls and takes advantage of the opportunities. The need is to put in place laws and structures that will utilize our technologies and resources better. Whether or not it performs this task well is for each of us to judge.